Handmade oriental rugs have great value and they are often bought as a good investment. These are both serious reasons why they should be treated properly in order to maintain their high value and last longer. After all, actual lovers of handmade rugs know well that they can last for many generations and that's why they are willing to spend considerable amounts of money for their purchase. 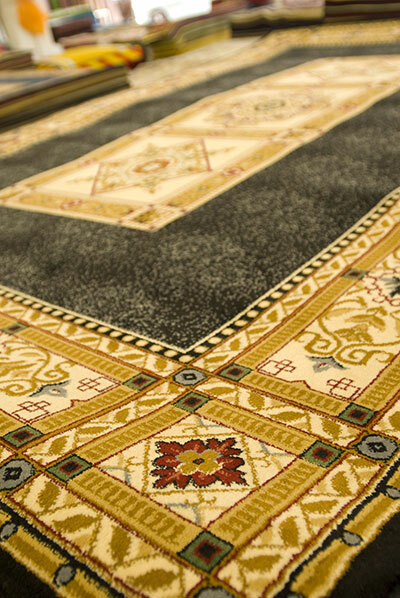 Some would even travel to the east in search for ideal sizes, motifs and colors but, in any case, they would need good rug cleaning methods and proper products. * Persian rugs would certainly look good in any room but if you want to protect them, you should keep them in low foot traffic spaces. They will certainly be ideal for the living room and the private office but not for reception halls, where they will be destroyed much faster. * You should pay attention to the detergents you would use for dirty rug cleaning. Not all of them would be suitable for any kind of rug. In fact, handmade ones are very particular and would require products depending on their fibers. This means that wool rugs would require different solutions than silk ones. The truth is that there are many green products on the market but you can also treat dirt and stains with vinegar or baking soda. * You must be very gentle with your movements when you clean them. You don't need to scrub them with too much force and, in fact, silk rugs are so sensitive that vacuuming must also be avoided. It would be best to use a special brush and make soft, circular movements. * If you want to store them for the summer or for any other reason, carpet cleaning must be preceded. The next step would be to wrap them in clean sheets and keep them somewhere dry. * Water damage must be taken care immediately. The good thing with rugs is that they are transferable and, therefore, you could leave them outside to dry well. * It is also important to protect them from the sunlight by keeping them from constant direct exposure through big openings and windows.